1. The Skill will be automatically unlock when character achieve the appropriate level. 2. Coins could upgrade skill level. 3. The Skill levels will be capped until character reached a certain level. 4. 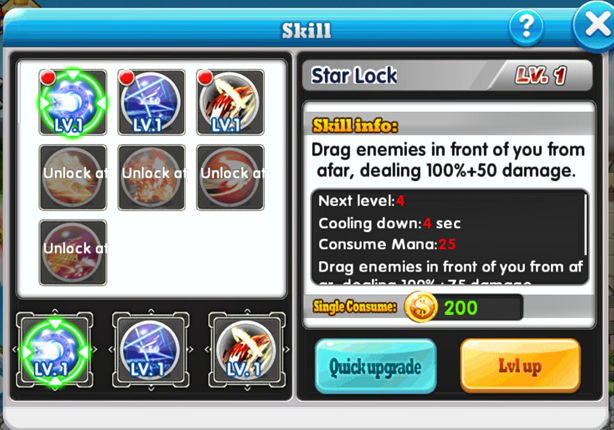 Player can learn all skills, however only can using the maximum of 3 skills in battle.